Are you feeling overwhelmed with the constant legislation updates and changes taking place? Would you like to spend more time on your core business ? 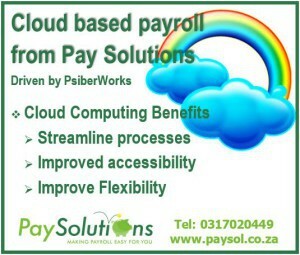 Pay Solutions ‘your off-site HR and Cloud Payroll Administrators” allow you to do just that by taking the burden off you. 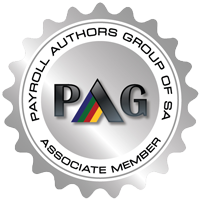 Pay Solutions have over 30 years experience in the Payroll Industry, processing thousands of payslips each month thus ensuring your staff will be paid accurately and timeously every month. Pay Solutions know how important it is to pay employee’s on time, every time! Using a “state of the art” cloud based system called PSiberworks (which has been processing payslips for the past 16 years). There are many benefits of using this powerful cloud payroll system such as streamlined processed, improved flexibility and accessibility. Capturing of all payroll changes e.g. Overtime, loans etc. Electronic Payment of all third party payments and providing third parties with documentation relating to the payment. 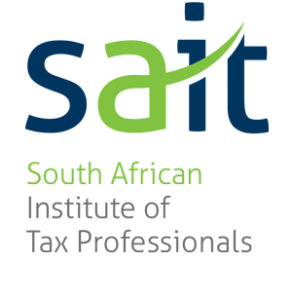 Create IRP5 Tax Certificates for employees at tax year end.